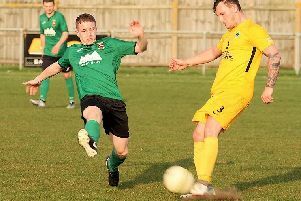 Sleaford Amateurs Sports FC have called it a day after just two seasons. The club began their search for a new manager in May and re-advertised the post last month, but an official statement was released last Tuesday announcing the end of the club. The team started last season well, but finished ninth in the Lincolnshire League after a tough second half of the campaign. The statement read: “It is with great regret that after two seasons we have decided to not have a side. “Unfortunately commitment has been a big issue for a while now, and we see no other option but to go no further.